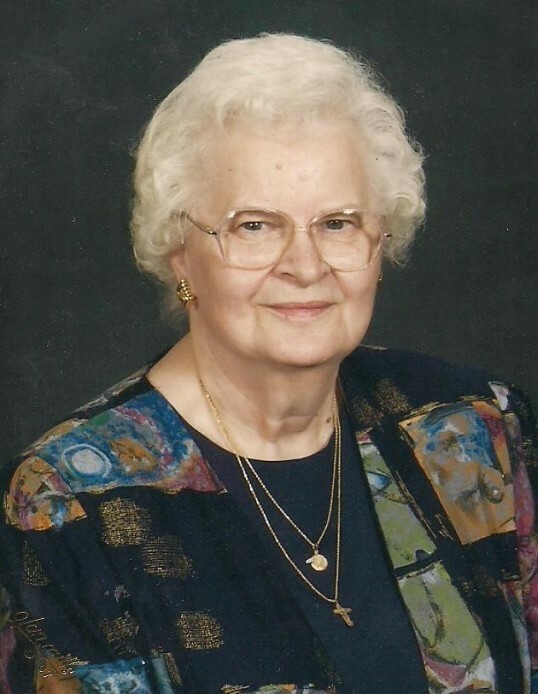 Obituary for Josephine F. (Bozek) Kopachko | Baker-Terravecchia Funeral Home, Inc.
Josephine F. Kopachko, age 86, of Smock, Pa., passed away on Saturday January 5, 2019. She was born on Friday September 2, 1932 in Smock, Pa. the daughter of George and Sophia (Pellish) Bozek. She is a member of St. John the Baptist Roman Catholic Church, Perryopolis, Pa., and the former St. Hedwig Roman Catholic Church, Smock, Pa., St Hedwig Christian Mothers, St. Hedwig Rosary Society, Smock Historical Society, Slovak Catholic Sokal Lodge 69. Josephine was very strong in her faith, she loved spending time with family, friends and she adored her grandsons. .
She was an excellent baker, she loved making cookie trays for her family and friends especially at Christmas. Left to cherish her memory is her loving husband of 63 years, Joseph F. Kopachko, daughter Mary Jo Mathias and her husband Terry, grandchildren, Samuel Joseph Mathias, Lucas Paul Mathias, her brother George Bozek and his wife Jean and several nieces and nephews. Friends will be received in the Baker-Terravecchia Funeral Home, Inc., 71 Pennsylvania Avenue, Uniontown, Pa 15401 on Thursday, January 10, 2019 from 3-8 p.m., and on Friday January 11, 2019 until 9:30 a.m. when prayers of transfer will be said. A Mass of Christian Burial will follow in St. John the Evangelist Roman Catholic Church, 50 Jefferson Street, Uniontown, PA 15401 at 10 a.m. Private interment will be held in St. Hedwig Cemetery, Smock, Pa.